@ventspleen2014 mourns the loss of Billie Whitelaw who died on Sunday at the age of 82. Sad news reached us today that the horror icon, Billie Whitelaw had passed away. 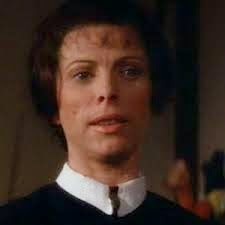 For me and many horror fans like me this is especially sad due to Billie's astounding performance as the evil and demonic nanny to Damien in The Omen. Playing a nanny tasked with the duty of protecting the infantile Antichrist is no mean task and it is one that was excecuted to terrifying standards. The scene in which she meets Damien for the first time accompanied with the, now imortal line, "Have no fear little one, I am here to protect Thee" still carries tremendous power and an ability to chill. Whitelaw's performance as Mrs Baylock portrayed her as a manipulative, powerful and totally focused lady who would stop at nothing to steer Damien into the world. 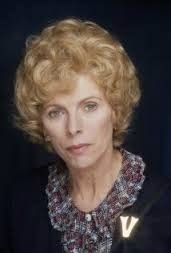 Billie Whitelaw, born on the 6th June 1932 in Coventry, Warwickshire. At the age of 11 she had started performing in radio dramas and later trained at RADA. Films debuts followed (most notably in Carve Her Name with Pride) and later was to co star with Albert Finney in Charlie Bubbles. Whitelaw was to become a well known face in British films and specialised in playing feisty, blonde secretaries. Her acting roles were to expand with amazing performances in Hitchcocks film Frenzy but it was her performance in The Omen that elevated her to international renown. Whitelaw also was well known with her professional relationship with Samuel Beckett, a relationship which carried on until 1989. Beckett wrote many of his roles with Whitelaw specifically in mind. Indeed, she herself commented that had she not worked with Beckett her autobiography would have been "of no interest to anybody" This is typically unassuming of Whitelaw and her talent. She is well remembered by all who worked with her as a uniquely talented lady and her last appearance in the Simon Pegg and Edgar Wright film Hot Fuzz (Joyce Cooper) was a pleasure to behold. Perhaps most touching of all have been the comments made by Whitelaws son, Matthew Muller. "I could not have asked for a more loving mum," he commented and then added "She had an incredible career - but first and foremost she was my mum - and that's who I will miss,"
We, as fans, mourn the passing of an actress who has held us mesmerised and, certainly, The Omen marks Whitelaw as a talented and deep actress. The power of her performance being "all in the eyes" as can be seen when the camera focuses on her steely gaze shortly before she murders Katherine Thorn. Billie Whitelaw leaves us a tremendous legacy which will be enjoyed for many many years to come. But she will be missed more by those who knew her personally and especially by her family. We at Haddonfield mark the passing of a truly great British actress but also want to extend our heartfelt sympathies to her family. Thank you for sharing her amazing talent with us we will never forget her.